With populism and citizen distrust on the rise, youth unemployment unresolved, and several Eurozone economies still emerging from the crisis, the political climate for the European elections is looking particularly challenging for politicians across Europe. More than ever, European leaders will need to show how the EU can make a real difference in citizens’ lives. The upcoming campaign provides a unique opportunity to explore how Europe can strengthen its reputation as a great place to live, work, study and do business. EURACTIV and AmCham EU invite you to a lively debate to hear what ideas the leaders of European political parties/groups have for next year's EP elections and how they propose to engage with European citizens. 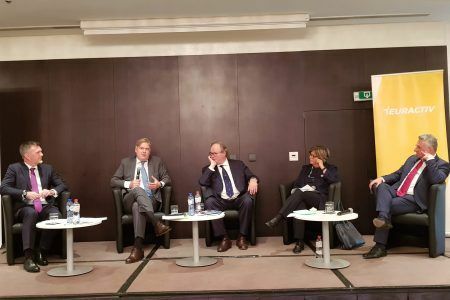 As MEPs from across the political spectrum prepare to face off in kick-off European election debates in the coming weeks, four topics dominated an election debate on Thursday (27 September) organised by AmCham EU and EURACTIV in Brussels.